Sitting on the couch with your laptop while you try to get work done — ahem, in front of Netflix — isn't exactly a recipe for productivity. Instead of trying to make your living room occasionally morph into an office, dedicate a spot in your home that's purely devoted to your to-do list. Whether you're decorating an entire space or a few feet, these 11 picks will give you the foundation you need to really get creative. From a gilded file holder and neutral storage boxes, to a stylish wall hanging and a confidence-boosting notebook, here are the accessories you need when your career makes it home. 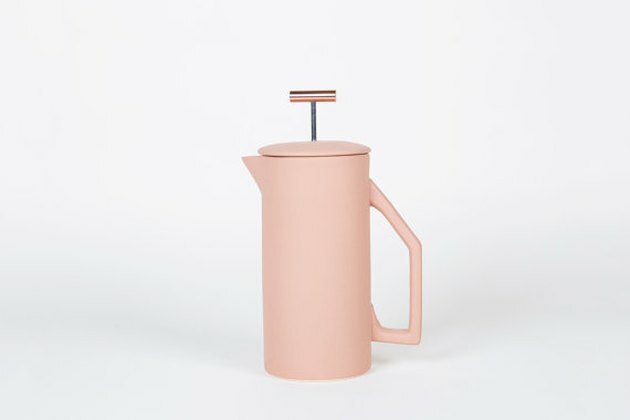 Keep those creative juices flowing — or take a well-deserved break — by drinking a cup of coffee or two from Yield Design Co.'s French press ( $120 ). You can't have a French press without also having a mug to pour your coffee in, right? Right. 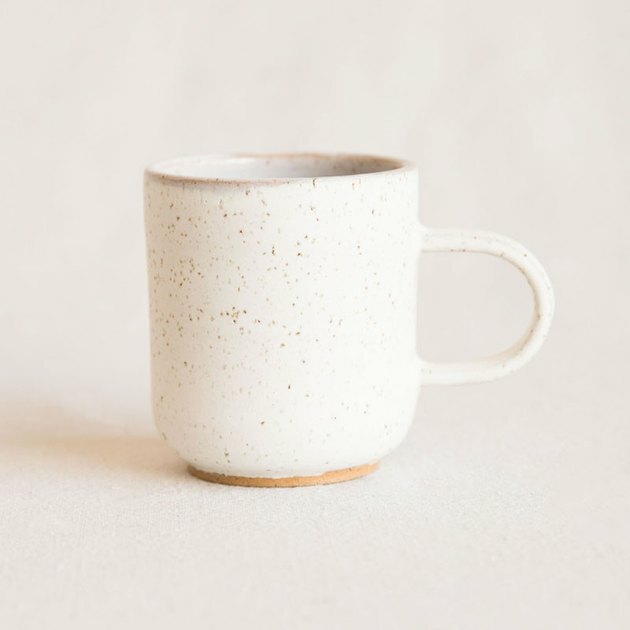 When you need a pick-me-up, reach out for this simplistic speckled mug from the General Store ( $38 ). It's tough to get work done when your desk is covered in paperwork. 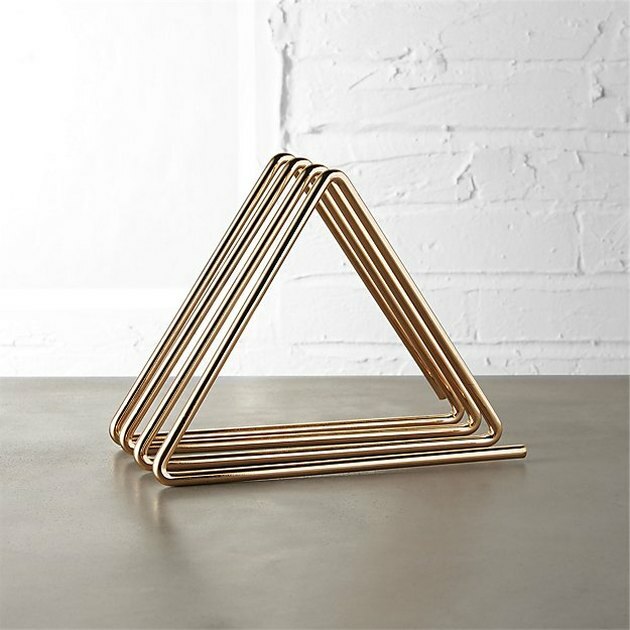 This geometric file holder from CB2 ( $19.95 ) will organize your most important correspondence so that you don't need to constantly be on the hunt for a piece of paper. 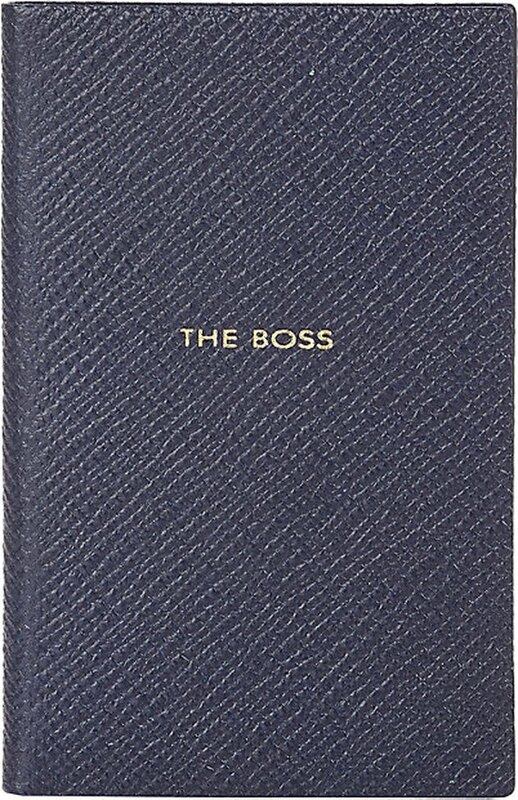 Jot down your ideas — while remembering who is calling the shots — with this confident notebook from Barney's New York ( $60 ). Using paper clips never looked so chic. 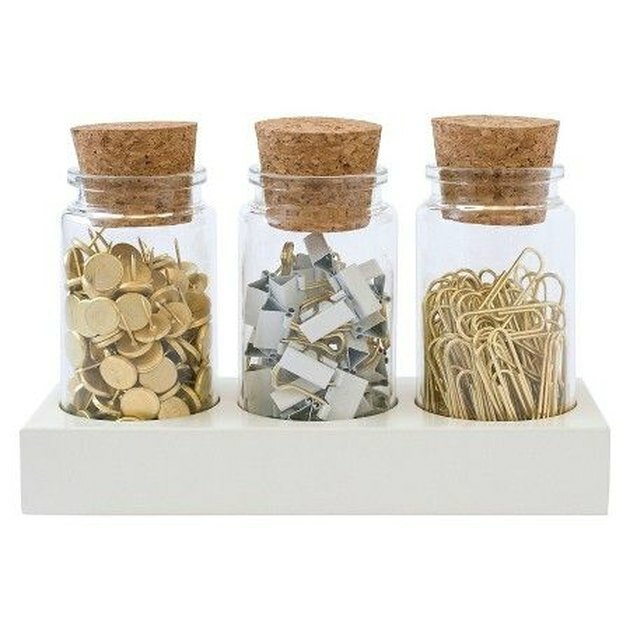 This office supply fastener set from Target ( $13.99 ) will put desk essentials right at your fingertips. 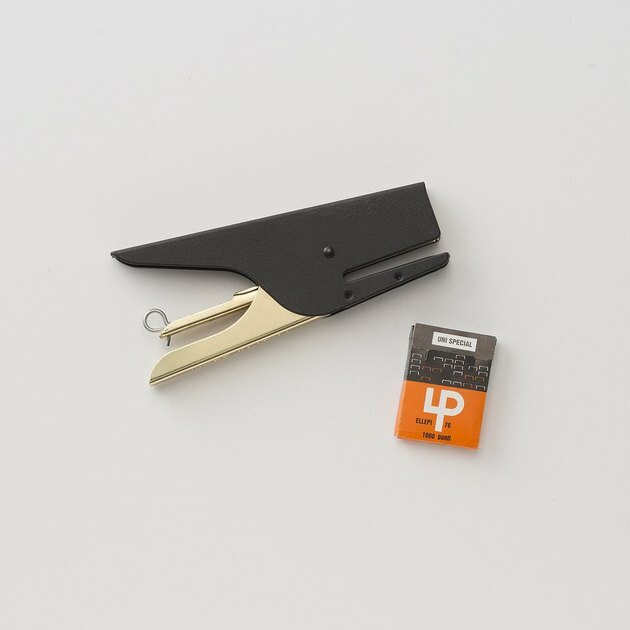 Make sure your paperwork stays nice and orderly with this Schoolhouse Electric stapler ( $48 ). It's so stylish that you'll want to keep it out on your desk for good. No one wants an art piece that distracts them from their work. 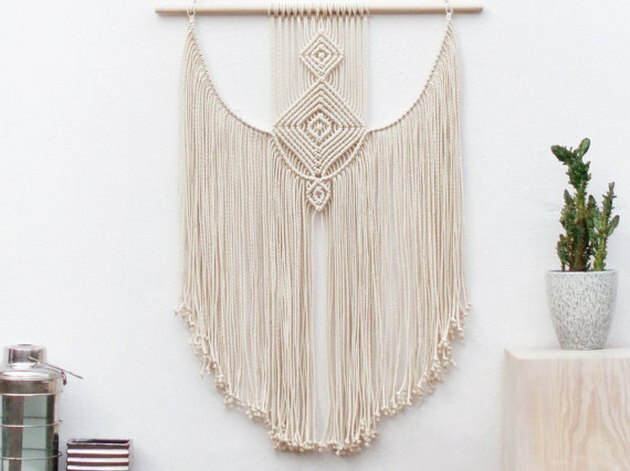 But when you put this MOXmacrame wall hanging ( $205 ) up opposite your desk, you may find yourself glancing away from tasks to admire it. Despite what the Kondo trend may preach, the truth is that you're always going to have stuff you want to keep — even if you're not sure when you'll use it next. 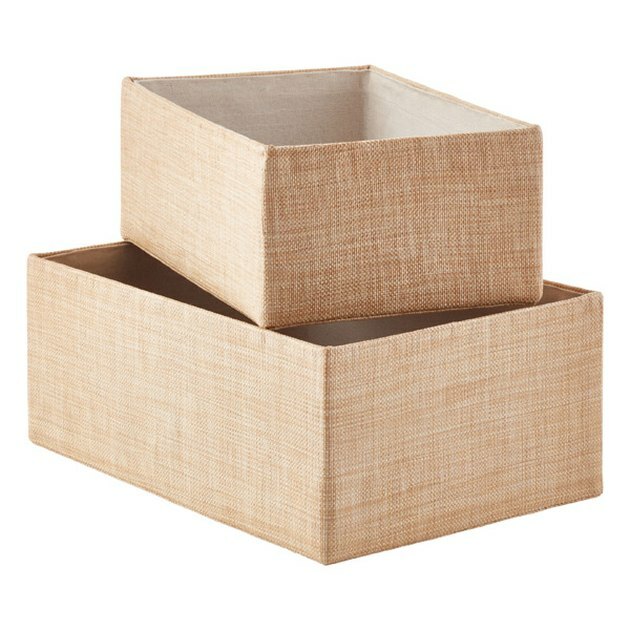 For all of those miscellaneous knickknacks, there are these storage bins from the Container Store ( starting at $9.99 ). Unfortunately, you don't always think of the perfect idea on the first try. 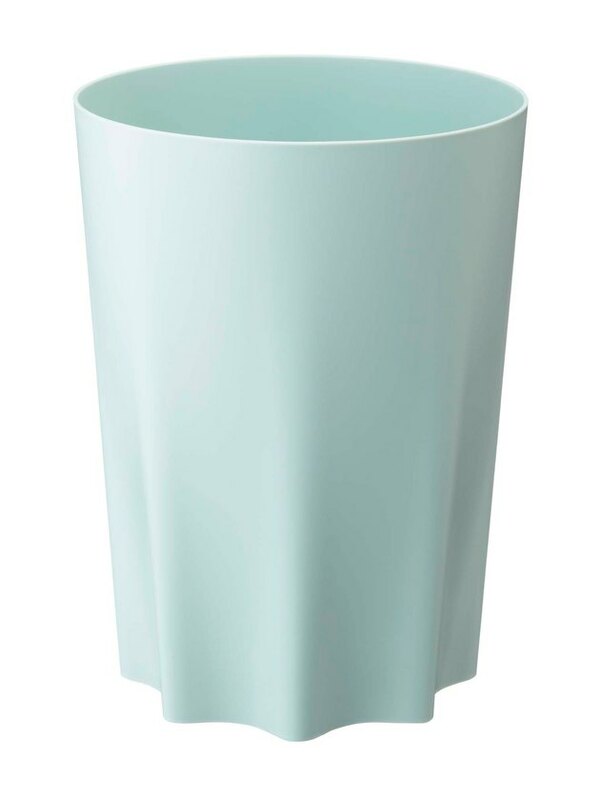 So when a draft doesn't quite come out right, toss it out in this sky blue trash can from Gilt ( $14 ). Even if you have the most aerodynamic desk chair to sit in, long afternoons spent in it can really take a toll. 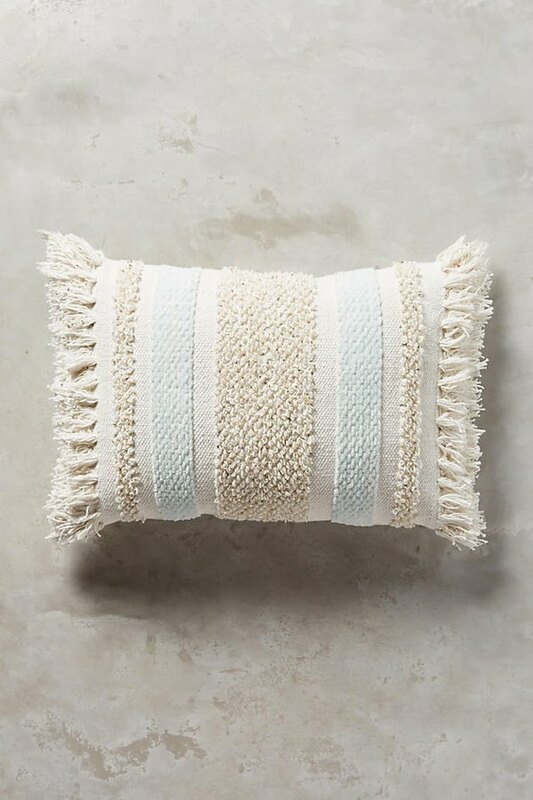 Get a fashionable boost from this cute fringed pillow by Anthropologie ( starts at $68 ). 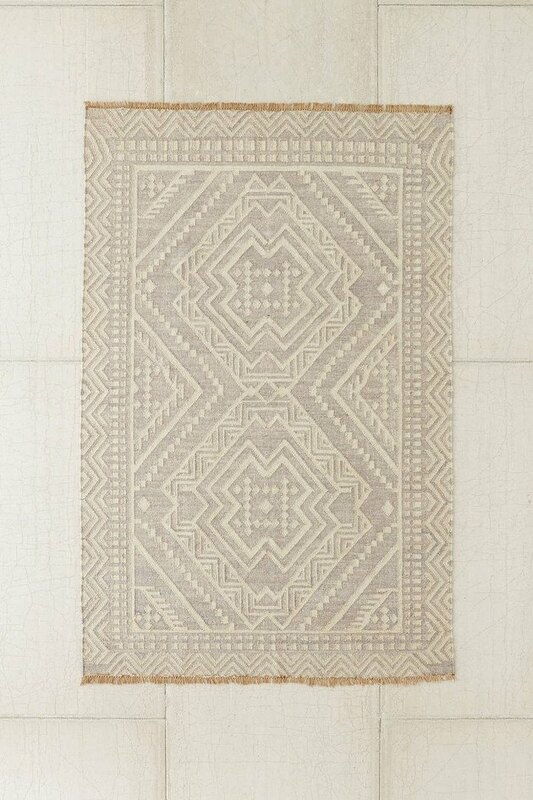 Tie your space together with this understated rug from Urban Outfitters ( starting at $89 ) and you'll be ready to get to work.